The well logging companies produce a huge number of measurements (logging curves) with company-specific names and mnemonics. What was required was a way to prioritise and standardise these curves by classifying the physical properties they were measuring. This was the PWLS concept of ‘standard curve types’. Working with POSC (now Energistics) and a number of interested stakeholders from oil and service companies, Flare provided the lead for this project. A number of workshops were held in Houston, London and Stavanger to gather input from knowledgeable stakeholders. This was integrated by Flare into a sets of Tools/Curves by Company linked to standard Well-log Property Names/Mnemonics (e.g. ‘Slowness Time Coherence’ and ‘STC.’) and standard Curve Type Names/Mnemonics (e.g. ‘Acoustic Slowness Time Coherence’ and ‘AC.STC.’). This work required a considerable working knowledge of well-log measurements as well as managing a diverse set of people to attain a consensus view. The main outcome was a set of standard well-log curve types for logging tools for the main logging companies (Baker Atlas, Halliburton and Schlumberger). This information is available on the Energistics website (http://w3.energistics.org/PWLS/pwls_20.htm). 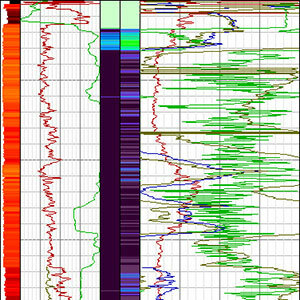 Benefits of the project are a focus on the main measurements made by logging tools (only around 2% of the well log curves deliver the majority of the value) and to aid both Petrophysicists and other technical workers in searching for and finding the right well-log data.